In this tutorial you will learn two very simple methods to reset Android on Huawei P8. It will return to it’s out of the box state, leaving you with the feeling of having a completely a new Huawei P8. Before we start make sure the battery of your device is charged to at least 80%, to avoid any unwanted shutdowns. If you have access to your Huawei P8, it’s also a good idea to do a backup of all your data, if it’s to any interest to you and you don’t want to loose it. Next you need to decide which of the two methods better applies to your scenario. 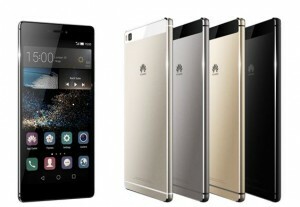 If you have access to the Android OS of your Huawei P8, you can use the method that involves using software options. If on the other hand you forgot your lock pattern, for example, or you need to completely reset your phone, you will use the method that involves pressing a combination of hardware buttons. The process to reset Android will start automatically. Once it’s finished the device will restart having returned to it’s out of the box state. You will use this method to reset Android if your have lost access to your Huawei P8’s OS. Using the Volume buttons to navigate through the options, select “Wipe data / factory reset” and confirm your selection using the Power button. The Huawei P8 will ask you again if you really want to wipe out all your data. Select the “Wipe data/factory reset” button to confirm and the process will start automatically. Wait until your device restarts, and it will back to factory settings, waiting for the new configuration. You have now successfully reset Android, and hold in your hands a clean Huawei P8, ready for new life!